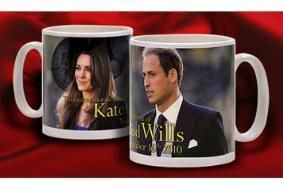 No 3D royal wedding, says Buckingham Palace | What Hi-Fi? Buckingham Palace has turned down Sky's request to install 3D cameras in Westminster Abbey for the event. This was despite strenuous efforts on Sky's behalf, including the filming of a mock wedding in 3D at a church in Eastbourne, Sussex. Patrick Harrison, press secretary to the Prince of Wales and the Duchess of Cornwall, said in an email to the BBC, ITN and Sky today: "I'm afraid that we have decided not to progress with 3D coverage of the service on this occasion. "There are a number of reasons for this, most notably the additional camera footprint in the abbey, the relatively small (albeit growing) audience for 3D, and our desire to not be distracted away from negotiating and facilitating the optimal 2D, radio, photographic and online coverage of the day." So there it is. We'll just have to put up with watching Wills and Kate in 2D. Or not at all.